I like to have a variety of nut butters available to eat at any given time. As of last night, there were six open jars in my kitchen. I’m not going to tell you how many unopened jars are in the cabinets. Let’s just say that I invest in peanut butter like some people invest in the stock market. At the rate the market is going these days, I think I’m the smart one. Some time between last night and this morning, I decided that six jars of nut butter just weren’t going to cut it. Time to make a new one! And of course a dessert-y nut butter would be appropriate. Have you ever dipped an Oreo into peanut butter? No? Okay, go try it, now. And then buy bigger pants. Have you ever dipped an Oreo into almond butter? I hadn’t either, but it seemed like a good idea. It seemed like an even better idea to merge the two foods though. Oreo cookies in my almond butter? That’s right. Jackie from La Casa de Sweets organized a way for all of us to help raise money in Africa to help with the food crisis. Click here to help. Steve’s race is this weekend! Help him get to his new goal of $10,000 and raise money for cancer research!! We are getting closer to the sweet and salty blog party. 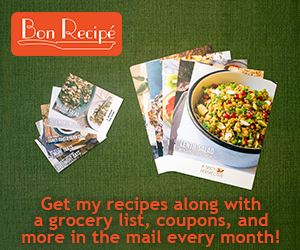 Email me to include your recipes (up to two per person)! keepitsweetlcl at gmail dot com. How many jars of nut butter do you have on hand?